So goes the favorite catchphrase of San Miguel Beer import Renaldo Balkman and echoed by his Ginebra San Miguel counterpart Justin Brownlee. And once the PBA Commissioner’s Cup finals tips off July 27th, expect a titular battle that is truly can’t miss action. It was only in May when Balkman and Brownlee were the formidable, hard-to-beat 1-2 punch of Alab Pilipinas in the ASEAN Basketball League. Together, they helped end the Philippines’ five-year title drought in the regional cage league. But come Friday night, both will have to put their brotherhood at the backburner for the meantime as they tread separate paths, going from allies to foes in their PBA championship chase. Balkman, given pardon after the infamous “choking incident” in 2013, is out to complete his redemption before PBA fans. The 34-year-old former New York Knick has listed averages of 28.1 points, 12.7 rebounds, 4.3 assists, 2.2 blocks, and 1.7 steals per game. On the other hand, Brownlee, who endeared himself to the legions of Ginebra fans after helping end the Kings’ eight-year wait for a title in 2016, have equally impressive numbers of 28.1 points, 12.5 rebounds, 6.6 assists, 2.1 steals, and 1.2 blocks per outing. In their first head-to-head, “Balkmania” and the rest of the Beermen took the upper hand with a 107-94 win in overtime over “Mr. Humble” and the Gin Kings last June 3. This time around, though, the stakes are higher and is raring to have the bragging rights over the other. How the do-it-all reinforcements will go against and after each other is only one of the many subplots and drama about to unfold in the best-of-seven series. Even Tim Cone, Ginebra’s multi-titled tactician, is anxious to know the ending to both team’s Cinderella stories this conference. “It’s ironic that we both got these guys late, we were both in the bottom of the standings when they came, and they brought us all the way back to the top of the mountain,” shared the Grand Slam-winning coach. 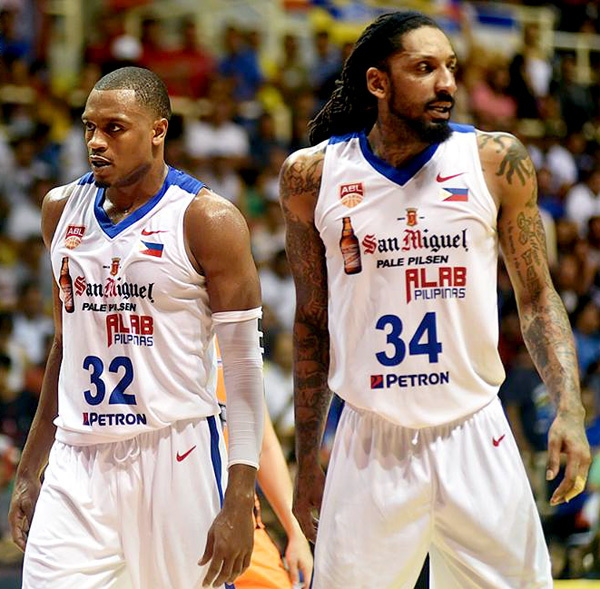 Cone expects Balkman and Brownlee to first size each other up before really getting down and dirty in the series. “Well, I’m sure in the beginning, there’s gonna be little giggles and laughs between the two of them, maybe a few high fives, privately,” said Cone. And for Balkman, all he wants is to finally wrap up his unfinished business with SMB and help bring the Beermen a step closer to the elusive Grand Slam – a feat nearly realized by the team last season. “It’s gonna be a fight to the end. We’re both trying to compete to win a championship, at the same time, we’re gonna give everybody a good show,” the Puerto Rican import expressed.